This week we will take time to complete some 'minds on' activities to help you make connections between your work creating a digital story and your work preparing lessons / unit plans as a classroom teacher. Activation and collaboration are elements of today's explorations. 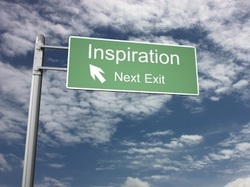 Hopefully, there will be some inspiration for your upcoming placement experience and your job application process. 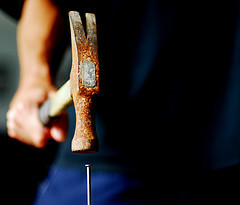 As a classroom teacher, you hold the 'hammer' to precisely 'nail down' effective instruction and successful learning. As a technologically savvy teacher, you will be open to opportunities to integrate technology into student learning. There are many models available to support your efforts to work with technology tools in the classroom. There are also expectations and standards in the use of technology to guide your work as a professional educator in the classroom. We'll look at the ISTE National Educational Technology Standards (NETS). We'll explore the Technology Integration Matrix (TIM) from Florida. 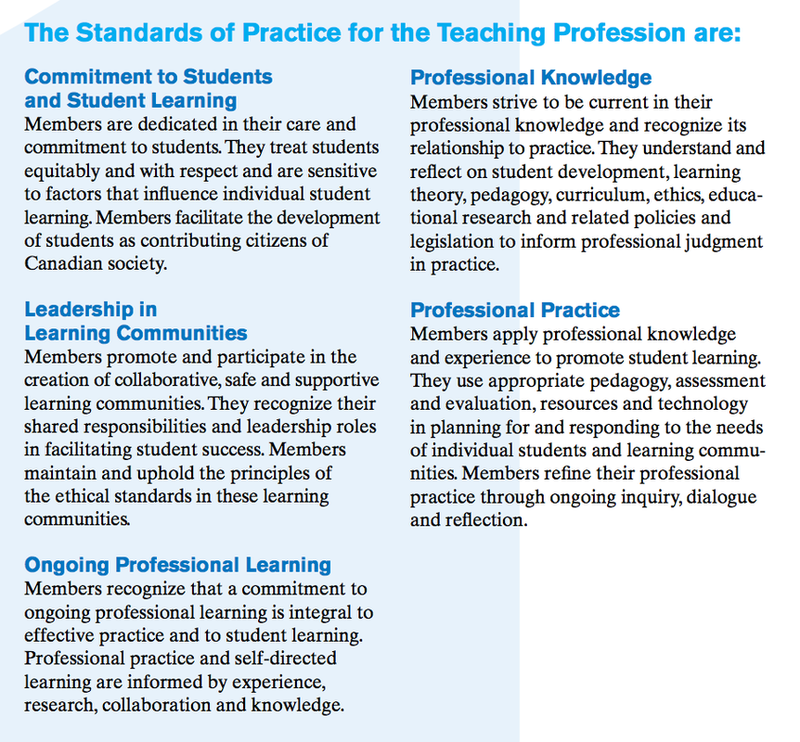 These will connect with the Ontario College of Teachers Standards of Professional Practice that guide your work in Ontario contexts. As part of this application task, you will review and analyze several rubrics available with others at your table group. From these many examples, you will determine how your story will be assessed and evaluated. FIRST: Co-create one rubric with your table group. This will be the rubric from which each of you can focus on key production elements. THEN: Adapt the rubric to suit your individual needs based on the story you intend to create. This is part of the process for your own assignment. Your experience will provide an opportunity to learn more about rubric creation within your teaching practice. You can submit your individual rubrics for feedback to your table group and your instructor. ﻿WE WILL DO THIS IN CLASS: Create the rubric that will be used to assess your digital story this Google Spreadsheet Rubric. PLEASE - MAKE A COPY of this original sheet before you get started. Once completed, you can submit for review and feedback by SHARING OR POSTING the DS rubric in the D2L-DS assignment folder. Using the Ontario Curriculum for Language Arts and the additional subject specific curriculum documents, work with your table group to design and plan a lesson. Use the Guide to Effective Literacy Instruction, Grade 4-6, Volume Seven: Media Literacy as a resource for ideas and constructs. Begin by selecting ONE expectation for MEDIA and ONE expectation from another curriculum document. Continue to plan and add resources to the page you were working on last week. Search for media rich resources to support your lesson idea. Make sure you can identify the success criteria. Outline the assessment for, of, as learning. Insert the outline information onto the ONE page in this Google SLIDE presentation that you were using last week. Include your initials or first name/last initial to claim ownership and authorship. CONTINUE to focus on the pre-production phase of your digital story. Think about how you will shift toward the production phase in the coming weeks. Continue to work on developing the skills, technology proficiency and production elements. Explore, experiment and establish items that are in your story plan. Continue to expand your collection of images, sounds and video that may be applicable to your storyline.